We always enjoy featuring different wine regions on our in-store display, here at Bottles in Providence. Currently, we’re taking a good look at Spain, by showing some of the key regions of the country. Wines from Galicia, Rioja, and Catalonia were chosen to highlight the vast differences of styles, flavors and cultures you can find all over Spain. 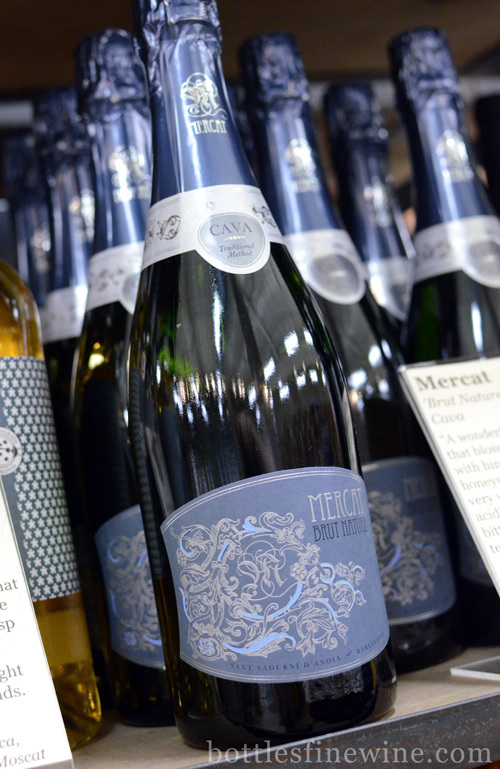 Let’s take a closer look at one of my favorite wines from Catalonia, Mercat Brut Nature. The Mercat Brut Nature is a wonderful example of Cava, a Spanish sparkling wine, and comes from the Northeastern corner of Spain. This Cava is made using traditional methods by El Xamfra, a top producer of Cava in Catalonia. A great quality sparkling wine for a great price! 91 Points, The Wine Advocate. In the Penedes region of Catalonia, the winery ages the Brut Nature twice as long as the laws of Cava insist. They make this wine with almost ‘zero dosage’, meaning that very little sugar is used for the secondary fermentation. Only a mere 1/2 gram of sugar per liter is added for the natural bubbles to occur, making this wine one of the dryest bubblies on the market. Aging also makes this Cava taste mature. The Brut Nature has beautiful fresh fruit flavors, an elegant mid palate, and a super-long, mineral laden finish. Aside from the three regions we are highlighting, we are also devoting a whole section to Garnacha, Spain’s most widely planted grape variety with a white, pink and red Garnacha. 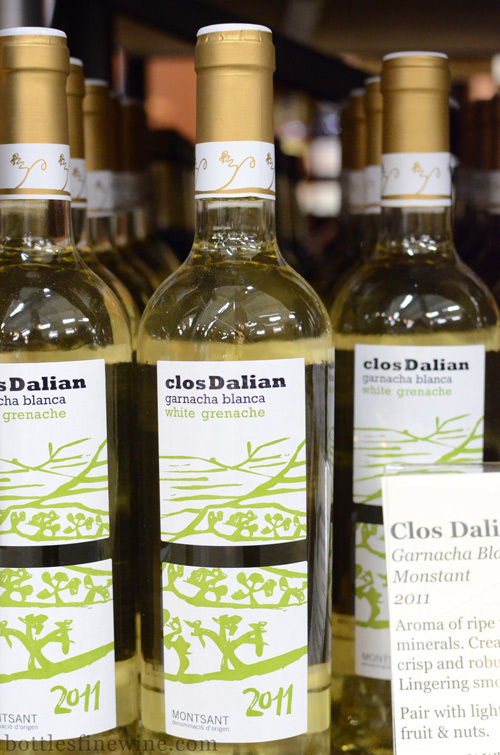 I recommend the Clos Dalian White Garnacha, which is light, fun, and floral. 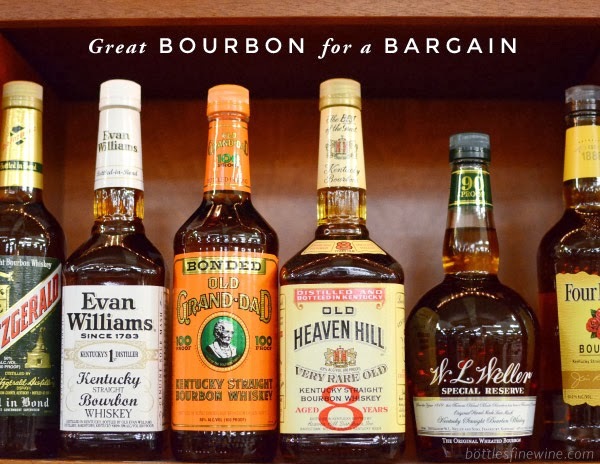 This wine’s bold aromatics and clean mouthfeel make it perfect for springtime. This entry was posted in Learn About Wine and tagged brands, spanish, types, wine on March 5, 2013 by bottlesfinewine.